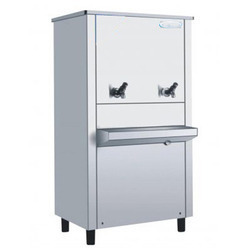 We are a leading Manufacturer of water cooler, four door refrigerator, under counter refrigerator, four door steel refrigerator, refrigeration display counter and deep freezer from New Delhi, India. Being a customer oriented firm, we are engaged in manufacturing, trading and supplying a quality approved gamut of Water Cooler. Our offered range is manufactured using high quality components and modish technology with the quality standards. Owing to various features like durability and reasonable price, this product is highly acclaimed in the market. Furthermore, our quality experts examine it on well-defined industry parameters. Widely used in various hotels, restaurants and schools, it is made available at market leading price. With sincere intentions to preserve and uplift our reputation in the market, we are offering a comprehensive assortment of Four Door Refrigerators. 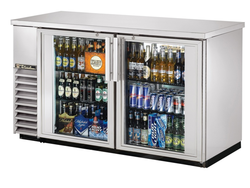 The given door refrigerators are provided in numerous specifications to choose from. The door refrigerators are designed in accordance with quality norms utilizing the top grade basic material and leading technology under the expert supervision. Broadly valued in varied attributes like optimum quality & reliability, these door refrigerators are provided at competitive rates. With the help of our state-of-the-art infrastructure unit, we are able to manufacture, trade and supply superlative quality Under counter Refrigerator. Our offered product is manufactured by our adroit professionals using premium quality components & ultra modern technology in complete compliance with predefined guidelines of quality norms. Furthermore, it is made available to our clients in various models at reasonable rate. 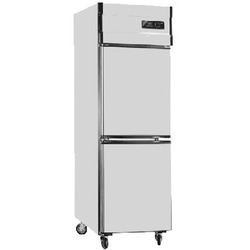 Steel Four Door Refrigerator offered by us are highly in demand for their unmatched quality and unbeatable price. Our range is specially designed for commercial usages such as restaurant kitchen, hotel kitchen, canteen kitchen and bar kitchen. The refrigeration display counter offered by us are designed to provide better and uniform cooling to a varied type of food products as well as beverages. 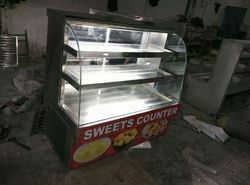 With an aim to stand tall on the expectations of our esteemed clients, we are providing Deep Freezer. 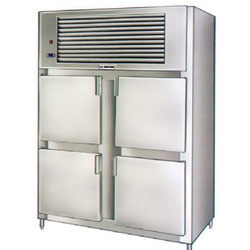 This freezer is exactly designed by top grade material and advance technology under the keen observation of our experts. 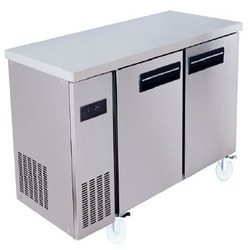 The offered freezer is available in different specifications as per the needs of customers. We are giving this freezer at nominal rates. With an aim to stand tall on the expectations of our esteemed clients, we are providing Bar Chiller. This product is manufactured with the help of supreme quality components and contemporary tools under the guidance of skilled professionals. Our company is the prime supplier and manufacturer of optimum quality Two Door Refrigerator. 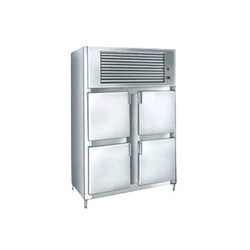 These refrigerators are mainly used ice cream industry, restaurant, motels, hotels etc. the temperature setting of these refrigerators is adjustable which help the various types of food products to freeze in an effective manner. We offer this system in various models at an industry leading price. 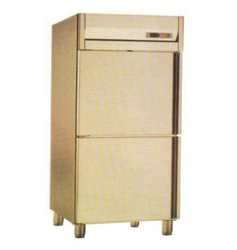 Aahar Kitchen Equipment offering a wide range of qualitative Steel Two Door Refrigerator. These are known for their unmatched quality and unbeatable price.